and position number two (only behind the new Van Halen release) for another 10 days. "Divine Gates part III - The Last Gate": First SKYLARK record pressed in North America. First Italian power metal band pressed in United States. Renaissance Records has also pressed brand new versions of Wings, Fairytales and the DVD "Divine Gates part 4-The live Gate". The longest Pan China tour in History for a rock band, first western band playing in Harbin, Kunming, Ghuoanzhou, and Changchun. Two incredibile supporting act shows for NIGHTWISH in Beijing and Shanghai. 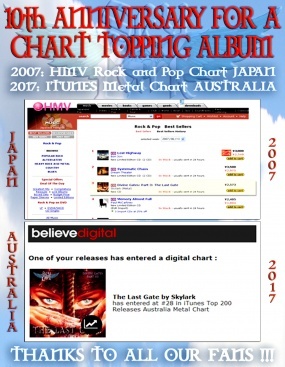 SKYLARK tops the Japanese chart with the album "Divine Gates part III - The Last Gate". One month in the top 50, reaching the third place only behind Bon Jovi and Dream Theater, followed by Velvet Revolver, Paul Mc Cartney, Marylin Manson, Linkin Park, Kamelot and Gotthard. 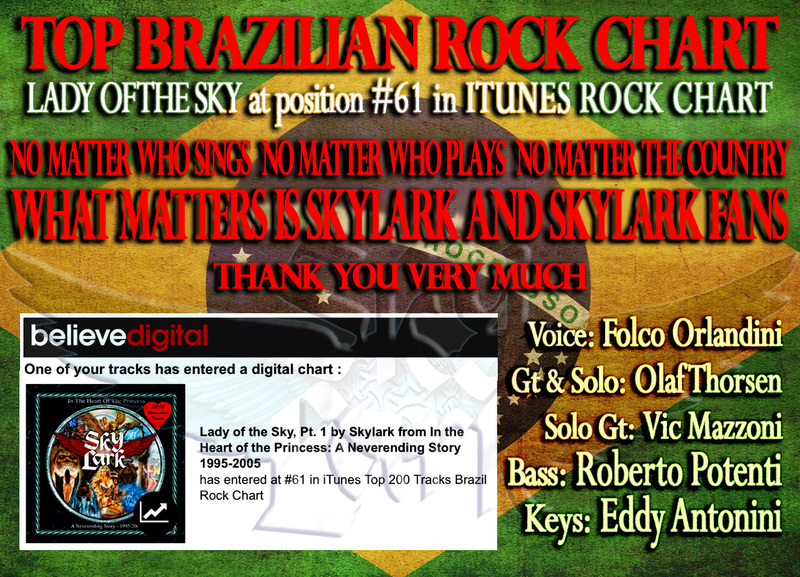 Copyright © 2010 skylakrock.com All Rights Reserved.